Not only is winter a time that insects seek out your home for warmth during the winter, rodents are as well. Mice and rats can bring about their own set of problems, such as property damage, food contamination, and diseases. 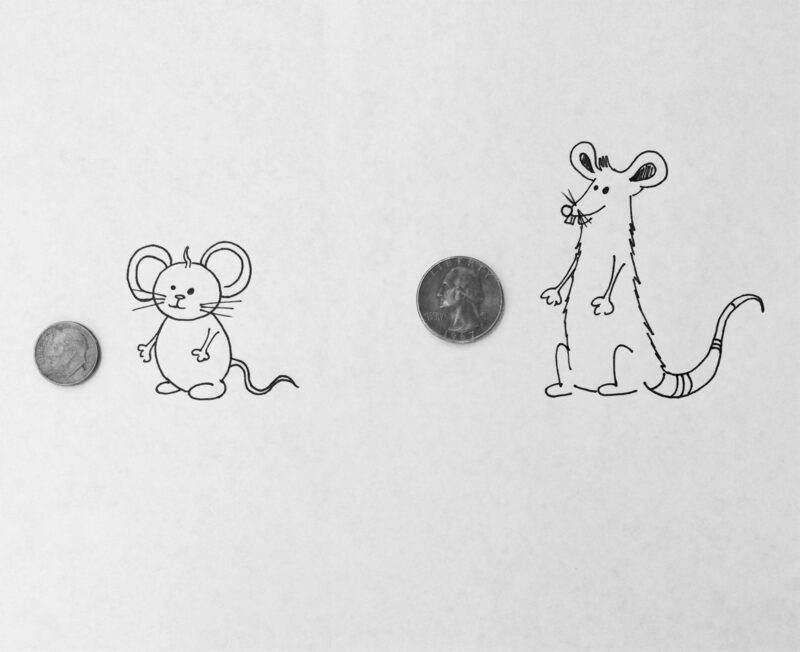 Did you know that rats can squeeze through a hole about the size of a quarter and mice only need one the size of a dime? The most common rodents that we tend to see are the Norway Rat, Roof Rat, and House Mouse. Norway Rats are also called Brown Rats, Gray Rats, Water Rats, Sewer Rats, or Barn Rats. They have a thick, heavy body with a blunt nose. 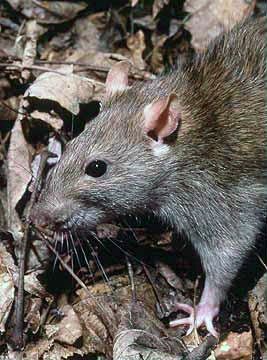 These rats can reach around 16 inches in length and weigh around one pound. They are found burrowing in the soil, sewers, basements/cellars, warehouses. Rats have poor eyesight, but they make up for it with their excellent sense of smell, taste, and touch. Norway Rats are also good swimmers. Although they will eat just about anything, they prefer cereal grains, meats, fish, and nuts. Roof rats are slightly smaller than Norway rats. They are also called Black Rats, Ship Rats, and House Rats. Despite the name, they range in color from black to light brown. Roof rats are more common in warmer areas. Their bodies are sleek and slender, and the tail is longer than the body. These rats are great climbers and will use fences or utility lines to travel between structures. They are often found in the upper level of homes or buildings, wall cavities, false ceilings, barns, and trees. 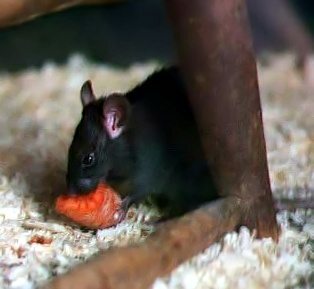 Roof rats eat a variety of seeds, fruit, leaves, invertebrates, and vertebrates. 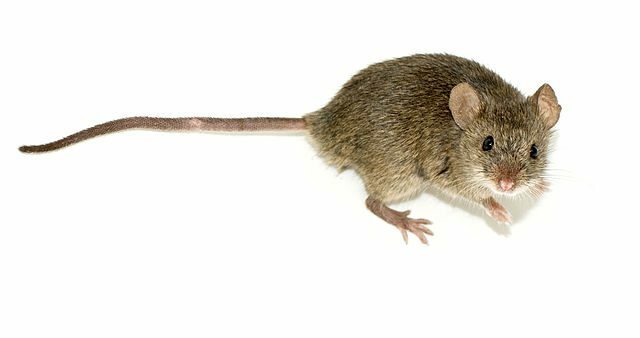 The house mouse, although some may think of it as “cuter” than a rat, is considered the most troublesome rodent in the United States! Because they can fit through openings as small as 1/4 inch (about the size of a dime! ), you are more likely to encounter them in your home than rats. The body of a house mouse is 3-4 inches and the tail is 2-4 inches and covered with scale rings. They generally weigh less than 1 ounce. Colors can vary from white to light brown to gray to black. House mice are typically found near people and are common in homes as well as commercial buildings, open fields and agricultural areas. Like rats, they have poor vision (mice are generally colorblind), but they have keen senses of taste, touch, hearing, and smelling. Mice are also good jumpers, climbers, and swimmers. One way to determine if your intruder is a mouse or rat is by the smell. The house mouse has a musky odor that helps to give it away. Although they prefer seeds and cereal grains, mice are known to be nibblers and will sample a variety of available foods. Rodents can cause a considerable amount of damage. 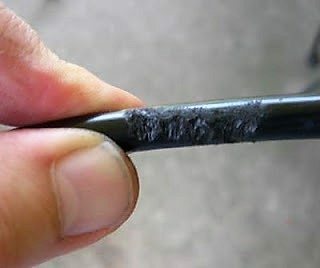 They can gnaw through a variety of materials including wood, soft metal, roofing material, drywall, and electrical wiring Food and it’s packaging is destroyed and contaminated. 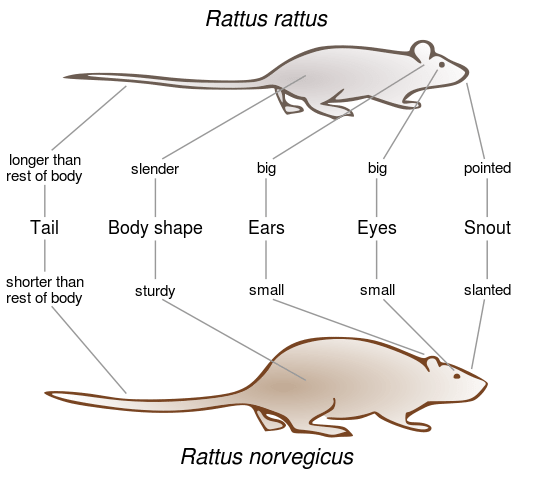 Rats and mice are both carriers of multiple diseases. One sign that rats or mice may be present is droppings that are usually found along runways and in feeding areas. It is also sometimes possible to see tracks (footprints or tail marks) on dusty surfaces. Since they are mostly nocturnal, you are more likely to see signs of rats or mice than the actual rodent itself. What can you do to keep them out? Sanitation is key. The less available food and water sources, as well as clutter they can nest in, the better. There are also precautions to take to keep them out. If you suspect you may have a rodent problem, give us a call today for your FREE inspection of your home. Give us a call at 770-962-4240 or send us an email.